The result was announced after market hours yesterday, 25 July 2018. Meanwhile, the S&P BSE Sensex was up 127.51 points, or 0.35% to 36,985.74. On the BSE, 16,000 shares were traded in the counter so far compared with average daily volumes of 50,000 shares in the past two weeks. The stock had hit a high of Rs 3,187.65 and a low of Rs 3,052.10 so far during the day. The stock hit a record high of Rs 4,200 on 23 August 2017. The stock hit a 52-week low of Rs 3,037.10 on 24 July 2018. Hero MotoCorp registered the highest-ever quarterly sales of 21,06,629 units in the first quarter of the fiscal (April-June 2018). The record sales translate to a robust 13.6% growth over the corresponding period of the previous fiscal, when the company sold 18,53,647 units (Q1 June 2017). The company's EBITDA (earnings before interest, taxes, depreciation and amortization) margin stood at 15.6% compared with 16.2% in Q1 of last year. EBITDA margin was impacted by commodity costs, although offset to a large extent by pricing and continuing cost management. The impact on the PAT in the quarter has been on account of the tax benefits coming to an end in Q4 March 2018 at the company's manufacturing facility at Haridwar. Pawan Munjal, chairman, managing director & CEO of Hero MotoCorp said that the Indian economy continues to grow in the face of global headwinds from several fronts.  However, the industry has been adversely impacted by the volatility in commodity prices driven by global trends. Despite these challenges, the industry will maintain the growth momentum during the rest of the fiscal, with consumption expected to remain high on the back of a normal monsoon and the upcoming festive season. Hero MotoCorp is geared up to ride the positive momentum with new premium motorcycles and scooters, lined up for launch in the coming months. Meanwhile, the company's board approved investment of Rs 130 crore through CCDs (compulsorily convertible debentures) in Ather Energy. The board also approved participation in the rights issue of Hero FinCorp (HFCL). The existing shareholding (viz 41.03%) of the company in HFCL will only change, if other shareholders do not subscribe in full, in the rights issue. The detailed disclosure will be made, if required, post closure of rights issue of HFCL. 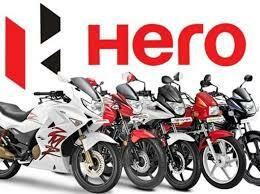 Hero MotoCorp is the world's largest manufacturer of two wheelers, based in India.